Planning your wedding near Wiltshire and looking for some ideas? 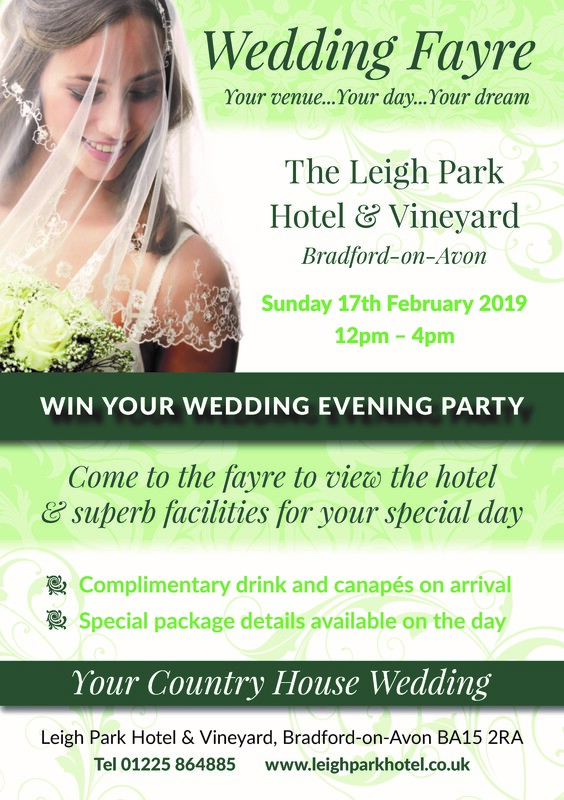 Come and visit our Wedding Fayre on the 17th of February 2019 at the Leigh Park Hotel. You can see our superb venue overlooking the gorgeous Wiltshire Downs and get to know some of the best local wedding suppliers. Also, our wedding coordinators will be there to talk about our special packages (details available on the day).